Whisk the egg well in a bowl. Put in the milk and sugar and mix. You can add a drop of vanilla essence to it but this is optional. Grease a non-stick pan with butter. 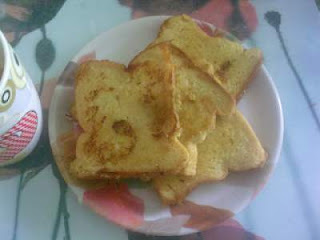 Dip in each bread slice into the above mixture and fry on the pan.